Hendrik Groen may be old, but he is far from dead and isn't planning to be buried any time soon. Granted, his daily strolls are getting shorter because his legs are no longer willing and he had to visit his doctor more than he'd like. Technically speaking he is... elderly. But surely there is more to life at his age than weak tea and potted geraniums? Hendrik Groen may be old, but he is far from dead and isn't planning to be buried any time soon. Granted, his daily strolls are getting shorter and he has to visit his doctor more than he'd like. Technically speaking he is ... elderly. But surely there is more to life at his age than weak tea and potted geraniums? Hendrik sets out to write an exposé: a year in the life of his care home in Amsterdam, revealing all its ups and downs - not least his new endeavour: the anarchic Old-But-Not-Dead Club. And when Eefje moves in - the woman Hendrik has always longed for - he polishes his shoes (and his teeth), grooms what's left of his hair and attempts to make something of the life he has left, with hilarious, tender and devastating consequences. The indomitable Hendrik Groen - Holland's unlikeliest hero - has become a cultural phenomenon and number one bestseller in his native Netherlands. Now, he and his anonymous creator, whose identity is a fiercely kept secret, are conquering the globe. The Secret Diary of Hendrik Groen will not only delight older readers with its wit and relevance, but will charm and inspire those who have years to go before their own expiry date. 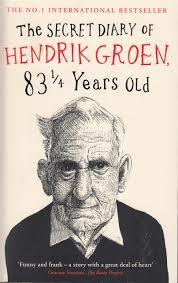 Hendrik Groen, pseudonym of Peter de Smet, is a Dutch writer. He is the author of the book Pogingen iets van het leven te maken: Het geheime dagboek van Hendrik Groen, 83¼ jaar (The Secret Diary of Hendrik Groen, 83¼ Years Old) published in 2014. 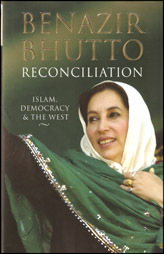 That book was awarded in 2016 with the Audience Award for the Dutch Book. The sequel Zolang er leven is: het tweede geheime dagboek van Hendrik Groen, 85 jaar (On the Bright Side: The New Secret Diary of Hendrik Groen) appeared in 2016. For years it was unknown who was hiding behind the pseudonym. This led to speculation about who it could be. Names from Sylvia Witteman to Arnon Grunberg were mentioned. Both De Volkskrant and NRC Handelsblad revealed almost simultaneously in 2016 that Peter de Smet was 62-year-old. De Smet responded with the words that 'he is not waiting for publicity' and 'has no sense in the fuss about fame'. Attempts to make something of life in 2016 won the Audience Award for the Dutch Book. This prize was not personally collected by the author.